Melanie Persellin has been practicing law since 2002, including civil litigation and mediation, and has the experience to represent you in making informed decisions. Ms. Persellin provides client-centered services and uses a team approach to help minimize clients' costs, while offering creative and common-sense approaches to resolving issues. 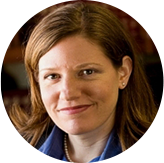 Ms. Persellin is also an experienced and trained Qualified Neutral mediator. Ms. Persellin can assist in the negotiation of all issues relating to the divorce including parenting time, custody, division of property, spousal maintenance and division of debt. As a neutral, she appears on Minnesota county court rosters, including the surrounding Anoka, Carver, Dakota, Hennepin, Ramsey, Scott and Washington counties, of people guiding parties through alternative dispute resolution processes. This experience gives Ms. Persellin a realistic understanding of the process. Ms. Persellin provides a $50.00 one hour consultation on all family law disputes and is available by appointment.